Powerful inventory management software to maximize your profits. Make your products work for you. Improve efficiency, gain visibility into your stock and automate your hardest jobs. 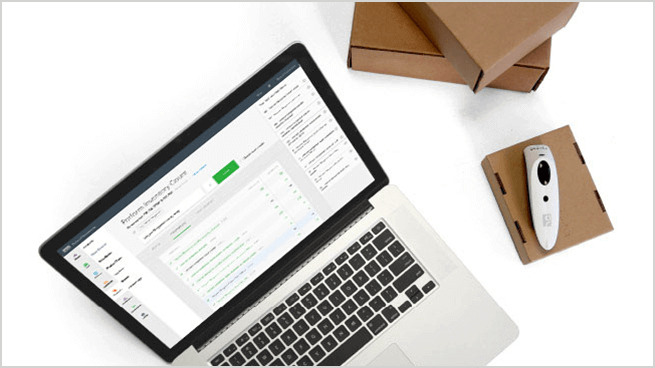 Easily manage your products, whether you have one SKU or thousands. Our inventory management software allows you to migrate products from your old point of sale or online store by importing a CSV file. Create multiple product sizes, colors or any variations you need, and edit them all in one view. Bundle products together to form new products like gift baskets, or split one product into many like wine by the bottle or glass. Import existing item barcodes or print new ones. Effortlessly add products to sales, purchase orders, stock-takes or supplier returns with a USB or bluetooth barcode scanner. Categorize your products by name, type, brand, supplier, supplier code, SKU, handle, and tag, to easily build custom reports, perform inventory counts or coordinate your online store collections. Manage one central product catalog and sync your products across all your channels to eliminate double data entry and reduce human errors. 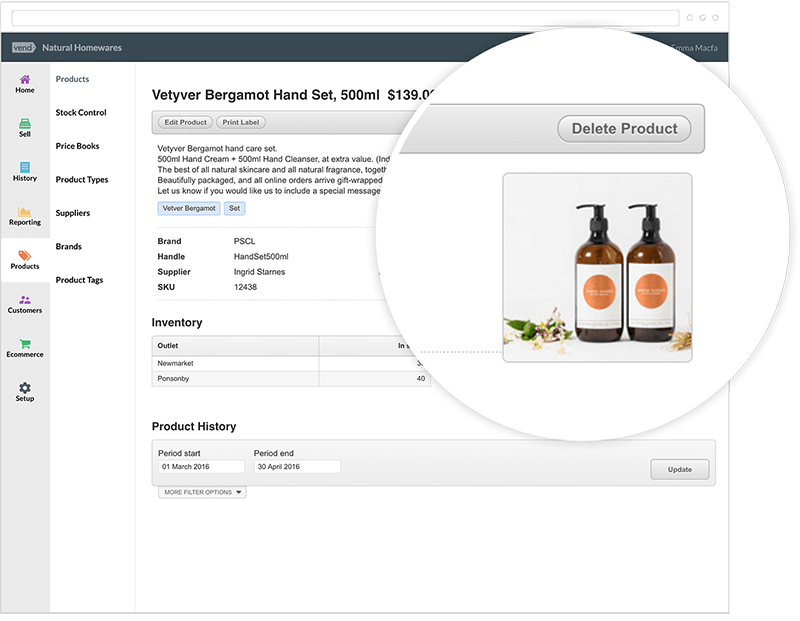 Duplicate a product (including its variants) quickly with the click of a button and make minor changes before saving as a new product. This will considerably cut down time in adding new similar products. Effortlessly manage pricing across all your channels and customer groups. Simplify all your promotions with Vend Price Books. Discount or mark up products, specify minimum or maximum purchase amounts and set an automatic end date. Running exclusive promotions? Using our inventory management software you can easily apply discounts across every channel or target them on an individual store basis. Create special pricing for different customer groups, like VIP customers or your staff. Easily handle taxes for outlets in different cities, counties or states. Customize your tax rates by outlet, or for individual products. Simplify the wholesale facet of your retail business. Track, manage and record wholesale stock and sales. Always have your most popular products in stock with simple order management. 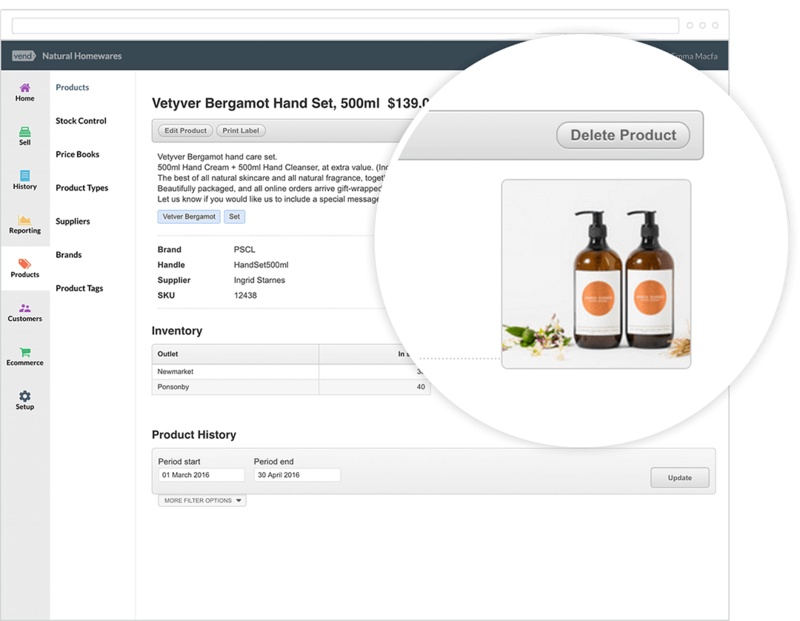 Create stock orders quickly with CSV uploads or by scanning product barcodes. Email orders directly to your suppliers through Vend, then easily receive, modify, and bulk print labels when orders arrive. Automatically generate stock orders whenever a product drops below your preset levels with customizable reorder points. Never have too much or too little stock again. 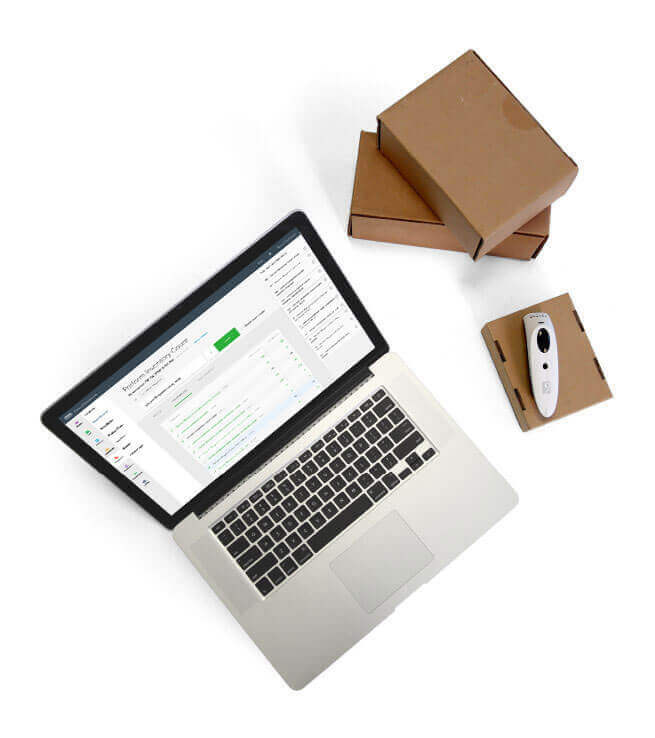 Easily record and return damaged, faulty, or unsold consignment stock to your suppliers. Maximize profits by taking control of your inventory. Quickly complete full or partial stock takes, perform multiple counts simultaneously, and even schedule them in advance. Even easier? Use Scanner by Vend to perform on-the-go counts on your iOS device. Have multiple outlets? Check product levels at your other locations and easly transfer items from one store to another while Vend automatically adjusts your inventory levels. Make better informed decisions about your purchasing and inventory with current and historical stock on hand, low stock alerts, and inventory level reports at your fingertips. 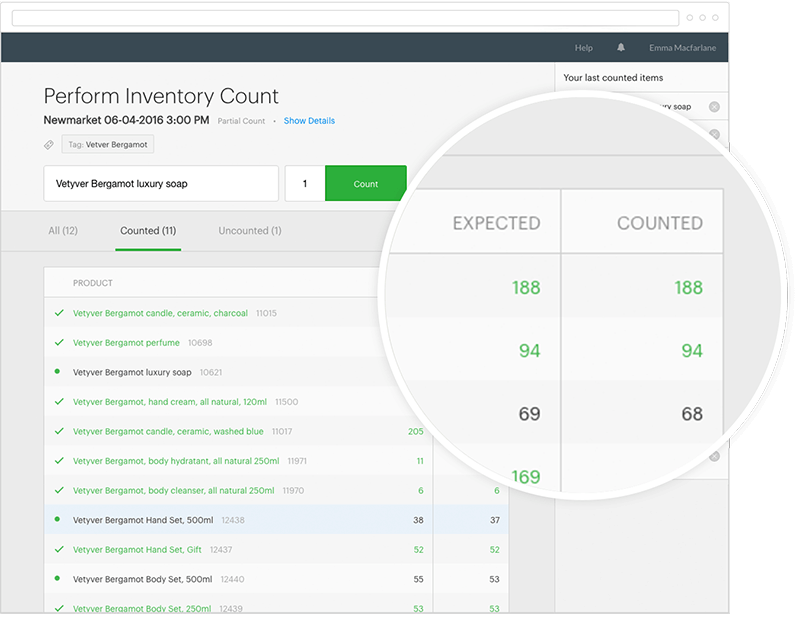 "Our favourite Vend feature is the ability to bring up detailed reports, mainly on inventory. 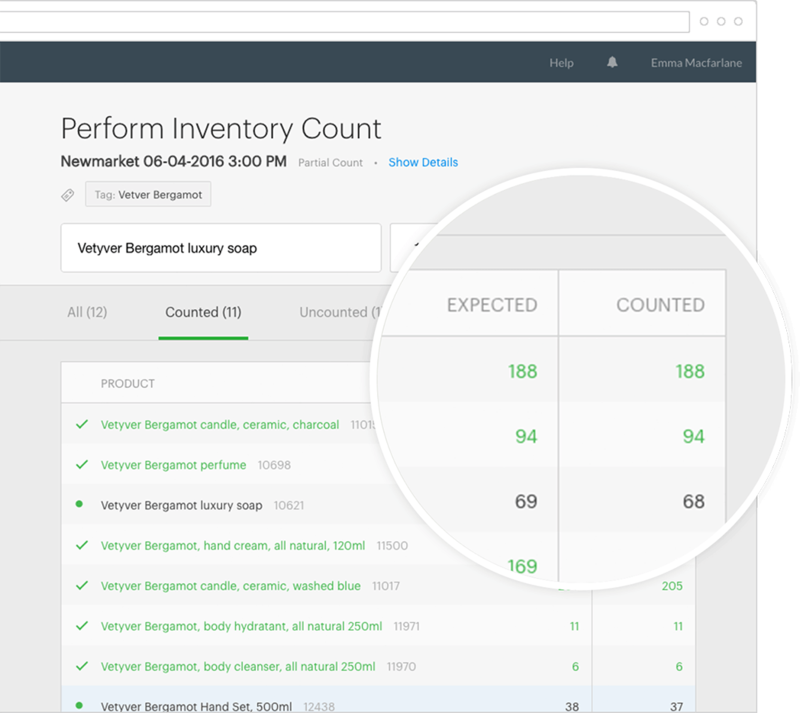 Being able to see a stores’ live inventory is a huge help in making purchasing decisions." Extend the power of Vend with advanced inventory management add-ons. Next level inventory with Unleashed. Get super specialized and unleash advanced warehouse and supply chain management capabilities. Learn how to set up, manage, and optimize a winning inventory system for your retail store. Loved by 20,000+ stellar retailers worldwide.